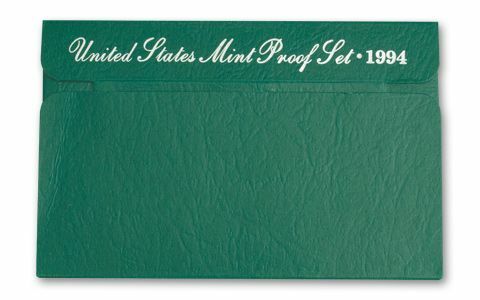 In fact, when it comes to U.S. proof sets, it's downright hard! 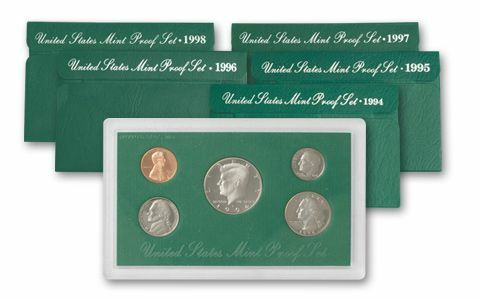 The mint housed their annual proof sets in green packaging for only five years-1994 to 1998. And, these sets have mintages far lower than those issued today, only about 2 million each year. 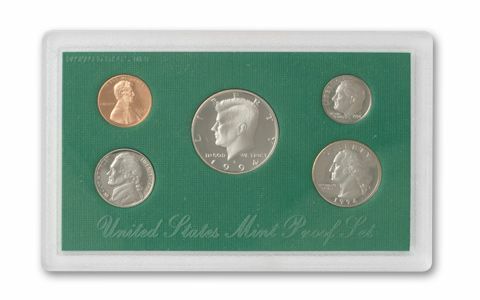 Each set has a Lincoln Cent, Jefferson Nickel, Roosevelt Dime, Washington Quarter and Kennedy Half, all struck to dazzling frosted and deeply mirrored finish. Sure, it's not easy being green, but it's also not easy finding green. And you get every proof struck for five years for only $3.60 a coin. Call now for yours, our supplies are limited.